The Trust which runs Shropshire’s two acute hospitals has appointed an Interim Director of Nursing. Barbara Beal will join The Shrewsbury and Telford Hospital NHS Trust (SaTH), which runs Princess Royal Hospital in Telford and the Royal Shrewsbury Hospital, in May. 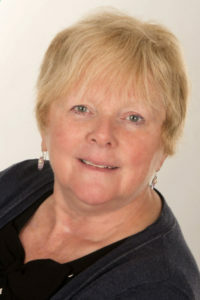 Barbara is currently Interim Chief Nurse of London North West University Healthcare NHS Trust and Non-Executive Director of University Hospitals Coventry and Warwickshire NHS Trust. Barbara has held an extensive number of board-level roles within the acute healthcare sector, including Midwifery, Executive Director of Nursing, Turnaround Director, Human Resource Director and Acting Deputy Chief Executive. Barbara is committed to contributing to improving the quality, safety, delivery and assurance of standards of clinical care, as well as improving and enhancing the patient experience, clinical and service outcomes experienced by patients, carers and their families. Barbara takes over from Deirdre Fowler, who has joined Bedford Hospital NHS Trust, as Director of Nursing and Patient Services.